In June of 1997, Michael Jordan and the Chicago Bulls faced the Utah Jazz in Game 5 of the NBA Finals in Salt Lake City. It was an intense match-up, but at one point, the Jazz appeared to unstoppable, jumping to a 16-point lead during the second quarter. Jordan had been experiencing flu-like symptoms throughout the game…often struggling to stand, clearly suffering from extreme fatigue, often held upright only by his teammates. But as things began to look grim for the Bulls, Jordan miraculously summoned strength from an unknown place, performing extraordinary feats on the basketball court…making plays, sinking shots, keeping his team in the game. Finally…late in the 4th Quarter, with the teams tied and only seconds left on the clock, Jordan buried a 3-point shot that would clinch the game for the Bulls and ultimately help earn the title for the Bulls that year. Jordan’s performance was legendary. Scoring 38 points that game, it was a moment of sheer personal strength…a time where one man exceeded all personal physical limitations, driven by a desire to succeed. It was one of the most memorable exhibitions of human willpower in all of sports. Last year, we joined Ken on a trip to Cotham’s in Scott, AR and we were privileged to watch him destroy their massive Triple Hubcap Burger. It was impressive, don’t get me wrong, but also a tad disappointing. You see, it almost came too easy to Ken. He inhaled the mammoth burger quickly, with ease…without a single complaint, a single moan…nothing. We expected a little pain, a bit more suffering from the experience. The guy even slugged down a slice of pie from Charlotte’s in Keo directly after the burger on the drive home. So we immediately determined that we would need to return at some point to pit Dempsey against the Quadruple Hubcap…and hopefully, we’d all get the show we were all expecting. This event happened last week and I’m lucky to have been there to witness it. The burger was awe-inspiring, and frankly, a bit grotesque. Four enormous patties, each one layered with cheese and onions…over four pounds of beautiful burger. 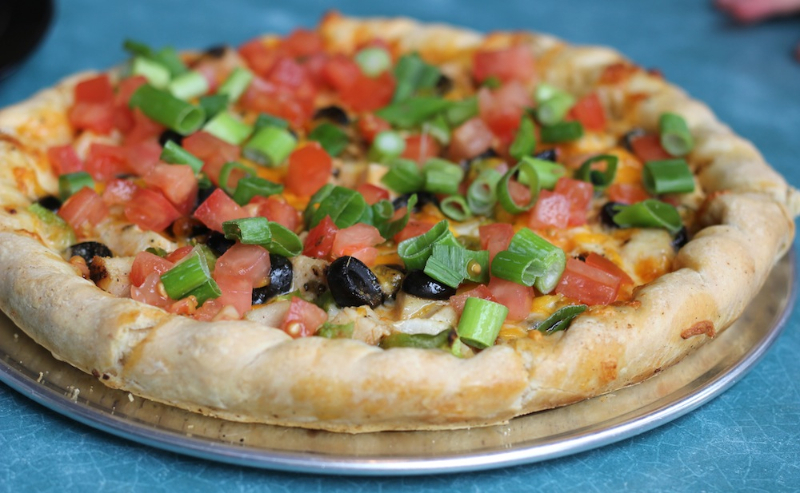 When it hit the table, gasps and whispers could be heard from all across the restaurant. Strangers approached our table to take pictures of this burger. Fathers held their children close, comforting and consoling them…hoping to ward off any future nightmares that may infect their child’s dreams. But Dempsey did not disappoint. His stomach seemingly knows no bounds…although this time, we finally saw a bit of a struggle in the eating. Over the last few bites, small beads of sweat began to form across Ken’s forehead as the pain began to set in. But like a true champion, Dempsey finished the entire burger and took his well-deserved place in Arkansas Gut Bomb History. Think you can equal Dempsey’s performance? 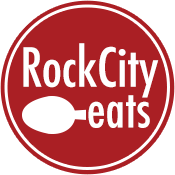 Or do you know of any other food challenges or gut bombs you’d like to see the Rock City Eats team tackle? We’d love to hear from you. 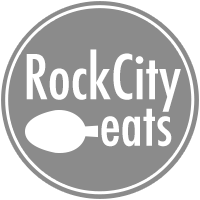 You can email suggestions to daniel@rockcityeats.com or send us a message on our FaceBook page. 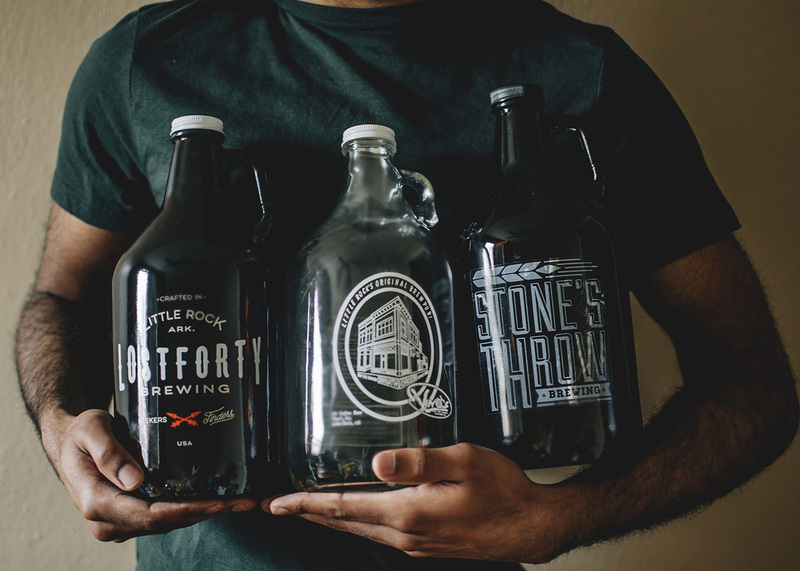 We’re up for the challenge…and we’re looking for our next food adventure.